New England doesn’t take playoff berth forgranted. FOXBOROUGH, Mass. (AP) — Devin McCourty knows the 14 rookies on the New England roster will be facing a different game when the Patriots return from their first-round bye to play in the divisional playoff Jan. 11. It’s the sense of urgency that comes with the win-or-go-home aspect of each game. AP photo TAKE A BREAK: Tom Brady and the New England Patriots finished the regular season 12-4 and earned the No. 2 seed in the AFC, giving them a bye and the chance to rest up before their first playoff game. “I think that’s really it — urgency,” McCourty said. “You talk about each week could be your last week of playing for the season. I think it’s just urgency, but (I would) just tell those guys it’s football, though. “Just keep doing what you’re doing, keep preparing and get ready to go,” the safety said. 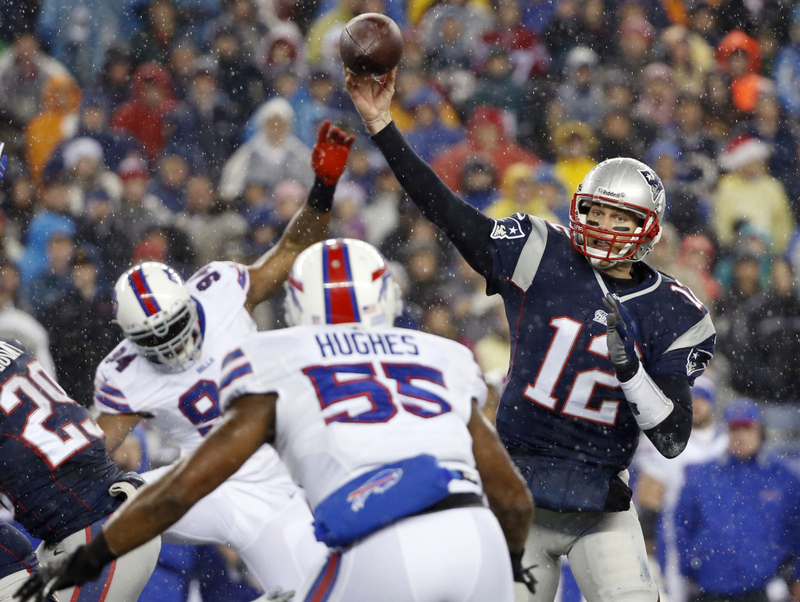 Having clinched their fifth straight AFC East title and the No. 2 seed in the AFC playoffs, the Patriots are attempting to reach the sixth Super Bowl of the Bill Belichick era. McCourty, who missed the regular season finale with a concussion, is thrilled to be back — both on the field and in the postseason. “Oh, it’s huge,” McCourty, in his fourth NFL season and fourth straight postseason, said of being in the playoffs. “Just to be able to be in this position, it’s big for us; we’ve got to take advantage of it. “You see a bunch of teams throughout the league (that aren’t in). I’m really close to my brother (Jason, with Tennessee), and talking to him five years in and not making the playoffs, I really understand how fortunate we are to be in this position. In addition to the 14 rookies (a 15th, wide receiver Josh Boyce, was placed on injured reserve Thursday, the Patriots have three other players — wide receiver Danny Amendola, running back LeGarrette Blount and special teamer Chris White — who haven’t appeared in a playoff game. Quarterback Tom Brady said Belichick does a great job of preparing new playoff players for the postseason. “Coach handles the team pretty well, so he’s got a great handle on what he thinks the team needs to hear,” Brady said. “I think the most important thing is to go out and play well, to be at your best.